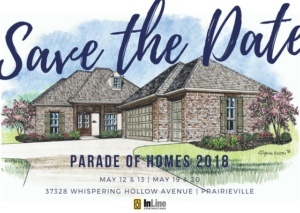 We hope that you’ll stop by and visit us at the 2018 Parade of Homes were you can take a tour of our home at 37328 Whispering Hollow in Prairieville. The video below offers a sneak peak into this beautiful home but you can not truly appreciate it until you’ve seen it in person. We look forward to seeing you then! More information on this home can be found HERE.